Local 700 President and Director of the Women’s Conference, Becky Strzechowski, speaking to members. 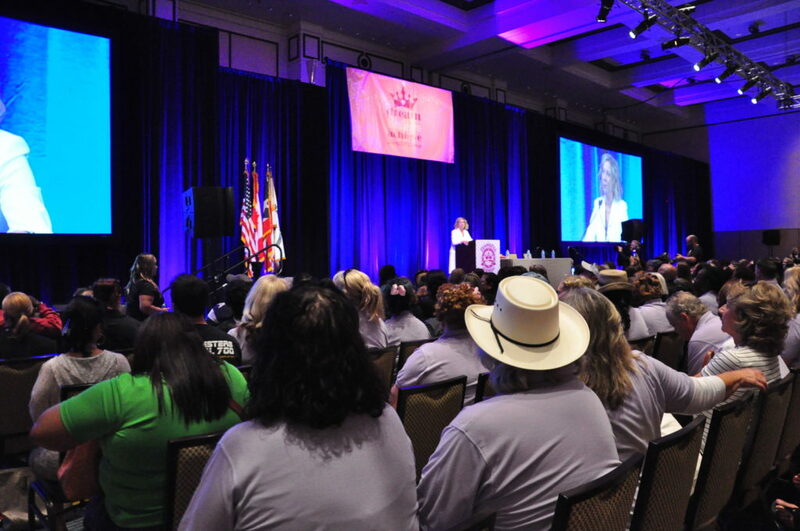 (Orlando, FL): Last weekend, Teamsters Local 315 women joined forces with about 1,300 other North American Teamsters at the Annual Teamsters Women’s Conference to create conversation on various workplace issues, comparing campaigning strategies from across membership, and attending trainings on how to improve the workplace for everyone. The theme of this year’s conference is “Dream, believe, achieve”, words that define and pave the strong foundation of Teamster women. Trainings ranged from open discussions on the #MeToo Movement to various public-sector locals’ strategies on retaining members’ commitment to paying union dues. The three-day conference promoted the many voices of working women with representation from all the Teamsters’ job industries.